Love, tragedy, and mystery converge in this compelling novel that Booklist called “rich in its characterizations, deep in its reflections about teenage life, and compelling as a mystery” in a starred review.Seventeen-year-old Parker Frost has never taken the road less traveled. Valedictorian and quintessential good girl, she’s about to graduate high school without ever having kissed her crush or broken the rules. 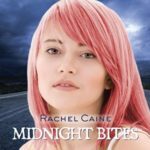 So when fate drops a clue in her lap—one that might be the key to unraveling a town mystery—she decides to take a chance. Julianna Farnetti and Shane Cruz are remembered as the golden couple of Summit Lakes High—perfect in every way, meant to be together forever. But Julianna’s journal tells a different story—one of doubts about Shane and a forbidden romance with an older, artistic guy. These are the secrets that were swept away with her the night that Shane’s jeep plunged into an icy river, leaving behind a grieving town and no bodies to bury. Reading Julianna’s journal gives Parker the courage to start to really live—and it also gives her reasons to question what really happened the night of the accident. Armed with clues from the past, Parker enlists the help of her best friend, Kat, and Trevor, her longtime crush, to track down some leads. 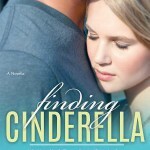 The mystery ends up taking Parker places that she never could have imagined. And she soon finds that taking the road less traveled makes all the difference. 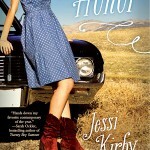 I just loved Jessi Kirby’s In Honor, and looked forward to reading her latest book Golden. Kirby’s book covers are so pretty and full of sunshine and have started to signal the arrival of summer for me. 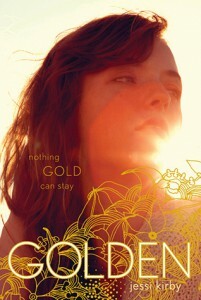 Golden is a lovely read about how delving into a town mystery helps a girl find her true path. Like In Honor, Golden is an emotional and satisfying read. In Golden, Parker Frost is an over-achiever with a bright academic future ahead. She was accepted into a top university and is in the running for a full scholarship, a scholarship named for two teens that died in mysterious circumstances ten years ago. In a class project, Parker gets a hold of the journal of one of the deceased teens, Julianna Farnetti, coincidentally. The journal becomes an obsession for Parker and her best friend Kat, and leads them on the path to unravel the mystery of Julianna’s death. 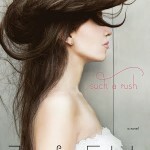 At the same time, the mystery gets her closer to her long-time crush, Trevor. It all comes together in a fateful road trip that alters Parker’s life in unexpected ways. 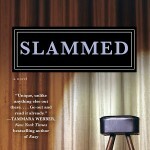 The author says the book’s setting was inspired by her hometown Mammoth Lakes, California. The descriptions of the lake, coffeehouse, and school are vivid and made me feel like I was there as well. The setting is important to the mystery of Julianna and Shane’s death and becomes a character itself in the book. The journal project is something very cool in Golden. A writing teacher has his students keep a journal all year to capture themselves in words. The students turn in the journal at the end of the year, and the instructor promises to mail the journal back to the students in ten years time so they can get a glimpse of the past. Parker can’t help but be curious about the legendary Julianna’s journal, and finds her words to be quite eye-opening. I liked the story within a story in Golden, and I was just as interested in the mystery of Shane and Julianna as I was in Parker’s life. Poetry is another nice aspect to the storytelling, as Parker may be a distant relative of none other than Robert Frost. It’s fun to see the parallels in Parker’s/Julianna’s stories. Golden is a short, sweet, and inspiring read to get lost in this summer. 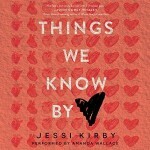 If you like Sarah Ockler’s and Morgan Matson’s books you should give Jessi Kirby a try. I’m glad I still have Kirby’s Moonglass to read this summer- Kirby has become one of my favorite contemporary authors. 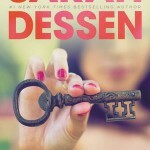 Barnes & Noble shoppers- there is some dispute going on between Simon & Schuster and B&N (Sarah Ockler explains it here) and so you may have to search a little harder to find Golden in stores. You can order it online or at an indie bookstore, or request that B&N order it for you. If you can, pick up the hardcover because it is so gorgeous in person, with lovely floral accents in the chapter breaks and the shimmery cover. 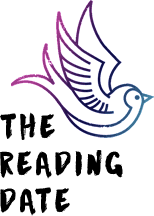 The Dark Divine series – Kindle deal alert! 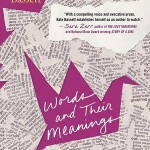 Ah – another book to add to my TBR pile! Thank you! I enjoyed In Honor (after your recommendation) so I’ll def put this one on my list! Love the playlist! 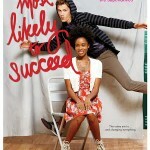 This one is definitely on my TBR list! Hopefully I can get to it soon! This book sounds so good, and I like that there’s a mystery aspect too it. 🙂 Great review! i knew i should have picked it up at the summer lovin tour. me and being frugal. oh well i will have to grab it the next time i see it. i don’t normally read contemps but have been feeling the urge to get some of the summer time feel reads in this summer. golden sounds like it could be just the thing. I like a good mystery or story within a story. Look forward to falling in love with Kirby’s writing. I brought home In Honor for the summer. I hope it breaks out of the pile. Oh! Great fun fact about the setting. I didn’t realize that but had to assume the author knew the place very well since the details were spot-on. I really enjoyed this one a lot… I’m glad for that since I didn’t like In Honor as much as Moonglass. Such a fantastic book and I wish I had a teacher who had some kind of project like this. Too awesome.